« How many value propositions do you need? 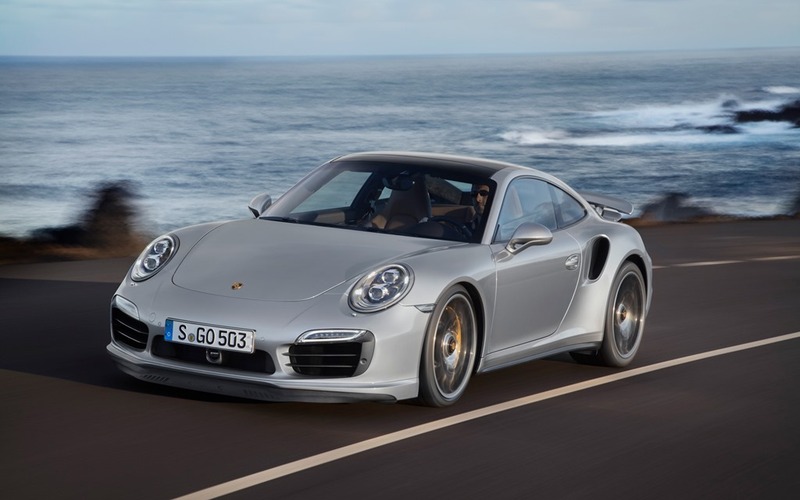 Porsche 911 is not just the longest running production vehicle, it’s also one that thrives in it’s niche as a flexible sports car and a versatile daily driver. In continuous production since 1963, this car continues to improve every year and take advantage of seemingly doing more with less, something that has become a matter of tradition. As have continuous pricing increases, with even entry level trims costing nearly $100,000. Part of Porsche 911 appeal are numerous PCA racing clubs in which Porsche owners regularly get together and spin their cars around the track for fun. So a guy goes and watches these 911’s scream around the track, he gets excited and decides this is something he’d like to do on his weekends. Time to get some adrenaline. So a guy goes to Porsche ready to race. Guy: I’ve been a fan of Porsche 911 for years, I see them everywhere on the road which makes me think it’s a decent car I can drive to work, and I love the idea of racing. Porsche Sales Guy: Oh yeah, you’ve come to the right place. Porsche has a long history of racing and as a matter of fact I have a few 911 GT2 and GT3 models over here that would fit that perfectly. But you said you’d like to drive it to work as well? Guy: Yeah, drive during the week, race during the weekends. 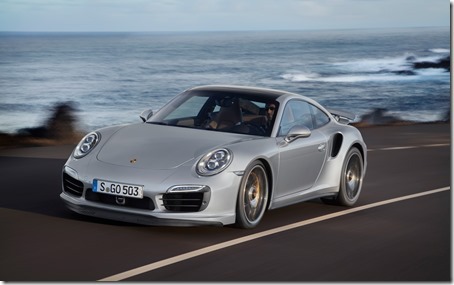 Porsche Sales Guy: Ok, in that case you may want to consider the 911 Turbo – it’s a fantastic race car with tons of power but also tons of luxury and it’s easier to handle as well. I have one here for $146,000. Guy: American? Does it come with this building, I just want the car? Oh dear god, no no no, that is insane – how much is the less luxurious model? Porsche Sales Guy: Well this GT2 has a few tasteful addons and it comes in at $162,000. Guy: Oh my god!!! You are insane! I don’t intend to drive this car 200 miles per hour, I just want a fun weekend car… What is this smaller one over here, I see those a lot as well. Porsche Sales Guy: Well, that is a Fiat 500 Abarth, it’s a turbo charged race spec.. Guy: Yeah, yeah – tell me it’s not $100,000!! Porsche Sales Guy: Well no, it’s actually $16,000 but it’s not even clos.. Guy: SOLD! Listen, I love the Porsche, it sounds great, but it says here this will go 120mph? That’s a ton and it’s all I’ll ever need on the track! Porsche Sales Guy: It’s actually not something I would even.. Guy: Listen, it’s got the same looks, Fiat makes Ferrari’s so I’m sure this will be enough for me. So the guy drives away in his Fiat and feels great about it. “That sales guy tried to take me for $160,000? What kind of a fool does he take me for? And listen to that engine roar!!! !.” It’s Saturday, guy takes his Fiat to the race track and lines up behind the Porsche “suckers” confident both in his car and in his ability to have a thrill and do so within the budget. So cars start piling out of the pit and the Fiat is right there with them “Boy, this is going to be a ton of fun!! !” but as the road widens and the others race away from his almighty Fiat the realization that this is not quite the same starts to set in. So the guy clears the curve and punches it on the clear straight road ahead of him. 80.. 90.. 95.. 100.. “I’m flying now,” as another Porsche pulls up right behind him, “How’s my smog taste back there in your luxury race car Mr. 911?” But just as he is about to high five himself they reach the curve and as the track starts to bank the car starts inching up towards the wall. Slam on the brakes! Turn towards the track! Sadly, it’s a little too late and the mighty Fiat races towards the wall ending in a crash and significant damage. Now substitute MSP for guy, Vlad for Porsche Sales Guy, IT solutions for race track and the Fiat 500 for.. well, I don’t want to offend the fine people at Fiat by comparing them to what I see passed on as “cloud” out there. This car dealer scene happens on my phone daily… Millionaires want a high end product that will give them productivity and the peace of mind but spending $2 extra month breaks the budget. Besides, what could go wrong? Until something actually does go wrong – and they are back losing millions and millions of dollars with every hour of outage sitting there in utter disbelief that technology could possibly fail and spending half the time yelling at a support person and half of it with their lawyer trying to figure out how to take a $2 compromise into a lawsuit to cover the millions they are now losing as a result of clearly negligent outage… in the middle of the day nonetheless! Two weeks later they are back.. with the same sob story.. I need to make this happen but I can’t sell it at $15.. the client saw it for $3. 1. You can’t sell. You can’t explain the difference? You shouldn’t be in this business at all. 2. How the hell did I end up on a phone with someone that wants to sell IT to a customer that can’t make $20 a month in their budget? Why have I not hung up yet, even if this goes through with financial stability like that there is no way they stay in business. I rarely say that out loud and I usually polish it up a bit but I’ve been burned so many times by stupid compromises that every time I am asked for one I immediately look at the worst case scenario. Not because I’m a pessimist but because I know that I will only hear it when their compromise turns out to have been misguided – and then it will be my fault. So… I try to be polite, offer the value propositions and then I move on to people that are going somewhere. That’s my prerogative. But ExchangeDefender is a business with lot’s of people and lot’s of different opinions and target markets worldwide. So I am constantly pitched ideas and I want to introduce you to the unfiltered thoughts on how this sounds to me. So we are being pushed to provide a cheaper solution so our partners can compete with others on price? OK. Can we make money doing it? Yes? But not nearly as much and we’d be diluting our offering. Well, what kind of ridiculous compromises would we be making? … Seriously? But that’s worthless, who would run their business on something like that? … OK. So we make them sign a contract or prepay? Why? So we can be financially stuck to this bad decision for a while? Oh, you mean by cutting our support levels on the product? So that the only time they actually need us they will be even more pissed off at us? What’s the point of it at all, to have them upgrade to a better product down the road? That won’t happen if the very experience we thrive at and are scored the highest on is the very one you want to strip from the offering to make it financially viable. So we can’t make enough money at this. It is clearly against our value proposition and everything else we sell. Our partners are digging a hole for themselves. Nobody can think of a single way that this realistically plays out well. The upgrade and upsell potential is limited. OK. Why the @#% am I being pitched this again? Because our partners are losing out on deals that they shouldn’t be inking in the first place. So our business model, of offering end to send secure messaging with tons of integration, service, support and single provider everything is going to be priced down to help people that can’t say no to something they know is a terrible idea? At times I feel less like a CEO and more like a drug dealer enabling people to harm themselves even further. Now is one of those times. Now can someone please tell me why we’re debating a suicidal path over talking about our top tier partners and how we can help them? Oh. Because we’re a business and in business people need variety. My responsibility is to the team at Own Web Now Corp and their families. We don’t have shareholders – we have business partners – and our business partners are asking for something I strongly disagree with. But that’s the thing with partnerships: I am here for you even though I think what you’re asking for is friggin stupid. So I’ll help. All I ask for is that you don’t get mad when things don’t play out the way you had hoped and I send you to this blog post instead. Yep, and the first time that flag get raised, we walk. I no longer waste my time trying to convince or defend our position, solution or pricing. It is not a fit and we walk. And when they eventually slam into the wall, as most do. The lesson is not learned many simply repeat it. Why not, purchase 5 less expensive solutions they will surely cost less than one solid, sound, tested and a tad more expensive one. Yeah it is that new math they’ve been taught in common core.